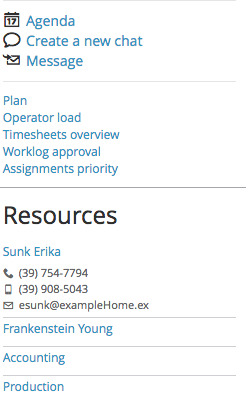 Twproject implicitly defines workgroups on every project, company or department. For example, when you are assigning resources to projects/tasks, you are with the same effort planning the task, defining security and composing a workgroup. No repetitions required! The fact that a company/department implicitly defines a workgroup is probably quite intuitive; but if you think about it for a moment, the same can be said for any project/task. What can you do with a workgroup? 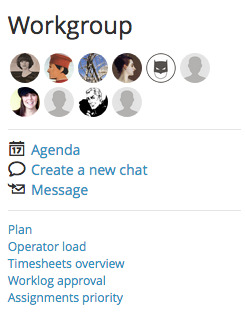 For example you can access the group agenda, say to plan a meeting for the whole group; or you can send a message to the group.